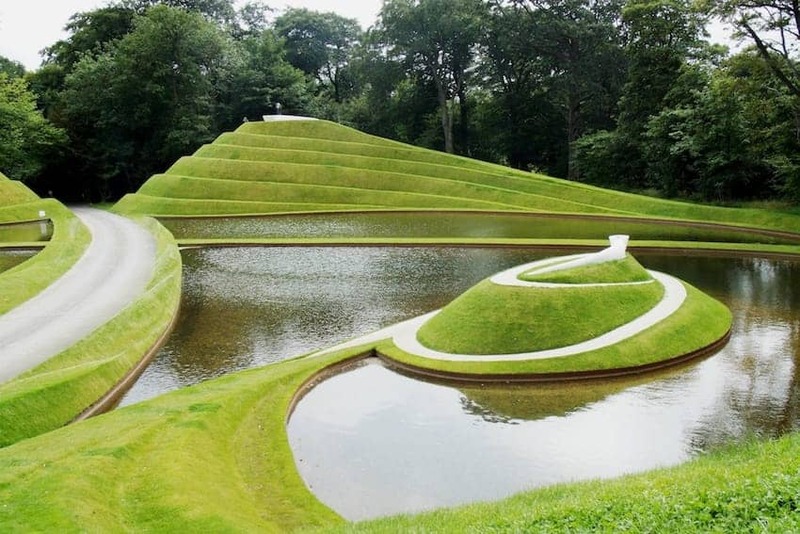 A contemporary sculpture park set in the grounds of Bonnington House, a Jacobean manor house near Wilkieston, Edinburgh. Visitors to Jupiter Artland are given a map indicating the location of the artworks within the grounds but there's no set route and so freedom to wander at will. First established in 2010 the artworks are a work in progress of land marks and events on an open-ended journey of discovery. In addition there are talks, tours and events, workshops and courses for children and families and a programme of exhibitions. This image is 'Life Mounds' by Charles Jencks.